What makes it special: Starliner was the fastback version of the flagship Galaxie line of full-size Fords in 1960 and 1961. 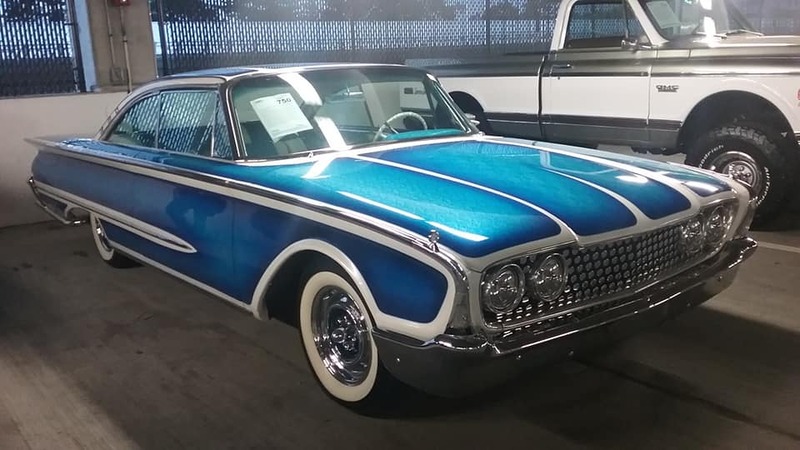 In 1960, the Starliner hardtop, along with the Sunliner convertible, made up the Galaxie Special Series, utilizing the high-level Galaxie trim, however the Galaxie name on the trunklid was replaced by Starliner script. In 1961 the Starliner hardtop and Sunliner convertible were part of the Galaxie Series. What made it famous: Characterized by their thin roof pillars, fastback styling and slippery aerodynamics, they symbolized 1960’s jet age design. While the ’60 & ’61 body styles share only their roof lines and chassis, they did share the same overall styling concept. The base engine in 1960 & 1961 was the 292 cid Y-block V8, with the optional 352 motor that was originally introduced in 1958. The Starliner offered a suitable platform for NASCAR teams to build their race cars. They were produced in limited numbers and due to their racing applications few survivors exist today. Why I would want one: Today would’ve been my father’s 84th Birthday. (We lost him in November 2017.) When I was growing up, we had a green, 4-door Ford Galaxie post sedan, that he lovingly referred to as “The Big Green Pig,” but we had lots of fun times in that car. ( Inline-6, three-on-the-tree manual transmission. Not exactly a “Hot Rod”, but at times he would make that car move, and “drove it like he stole it!” ) In honor of his birthday, I wanted to post the car that always makes me think of him ( The 1963 Falcon as well ), and hope that someday, I can also own the car that brings back great memories. I love you and miss you Dad. Happy Birthday. Fun fact: The Ford Starliner shares its name with the 1952-1954 Studebaker Starliner and the Lockheed L-1649A airplane.